I teach English in Ituzaingo and San Antonio de Padua.I like sharing. 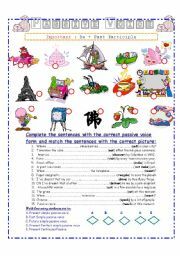 Send comments if you like my worksheets.Mail me if you need any help with my worksheets.Thank you for all your nice comments on my worksheets! They are very encouraging! 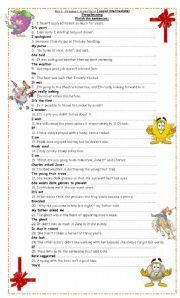 Grammar exercises to practice for final exams. 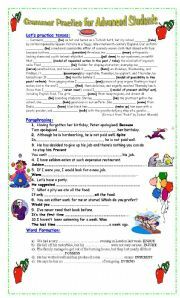 Tenses (passive voice/ modals/etc), paraphrasing(wishes/inversion/conditional/reported speech/etc) and word formation. Answers are included on the second page. Hope you like it!! 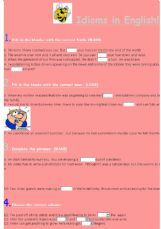 This is a nice activity with pictures and real situations for students to practise third conditionals. Key is included. Some questions to prepare students for the Trinity Oral examinations level three. Conversation questions based on the topic areas for this level. Enjoy it! This nice song is good to practise past simple, wishes and discuss the feelings of the singer in the past and now. I also included the link to watch the clip. It�s worth doing it! A tribute to Frenchfrog. Very funny!!! 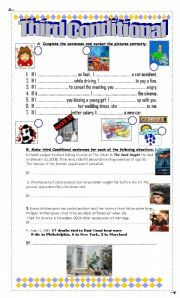 A nice worksheet to practice PRESENT CONTINUOUS with your students. 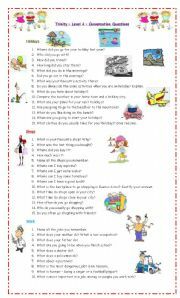 Affirmative and short answers practice. Hope you like it! 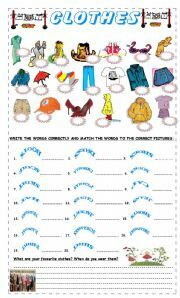 A nice worksheet to practice vocabulary about clothes. Ideal for young learners- Hope you like it! What are they doing on Halloween? A very good song to practise passive voice. Try it! It�s also good to talk about current affairs and political issues with advanced students! 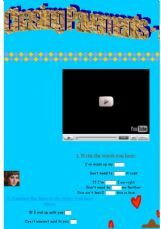 (Obama�s song)Have fun! A nice song to work with your students. It�s short but as a follow up I suggest writing stories in groups about it. Many versions will come up.It�s fun. Try it!The song is beautiful! 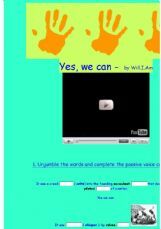 This is the online exercise I made four days ago about idioms.I change the background colour as requested. 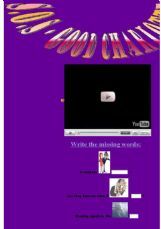 It�s good practice for your students. I hope this one to be approved. I guess the other one was also accepted but there must have been a technical problem. Send comments if you like it! 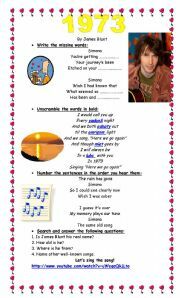 Nice song to practice simple past and spelling!Hope you like it! Teens love this singer. This song is nice! 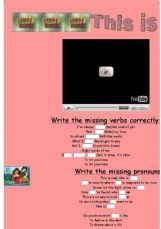 Try working with it and sing in class while watching the video and doing the exercises! Hope you like it! 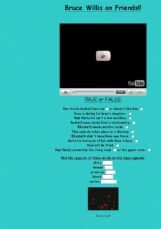 "This is me" is one of the most popular songs among teenagers from the Disney movie Camp Rock. 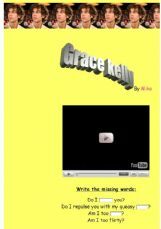 Hope you like it!Adolescents and pre teens love it!New video!Links for the websearch! A funny episode to watch with your students. I love Bruce Willis! Hope you like it! !